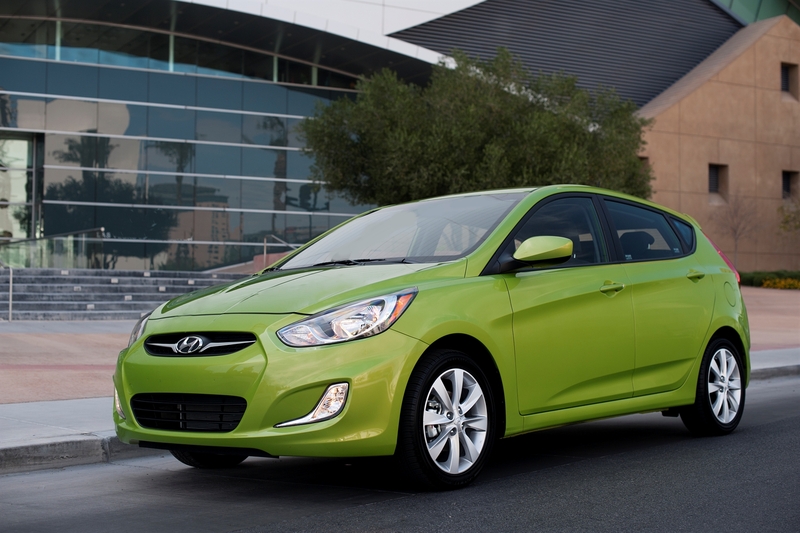 The Accent comes in bright colors, and looks good in them. However, the rear window is too small to see out of. 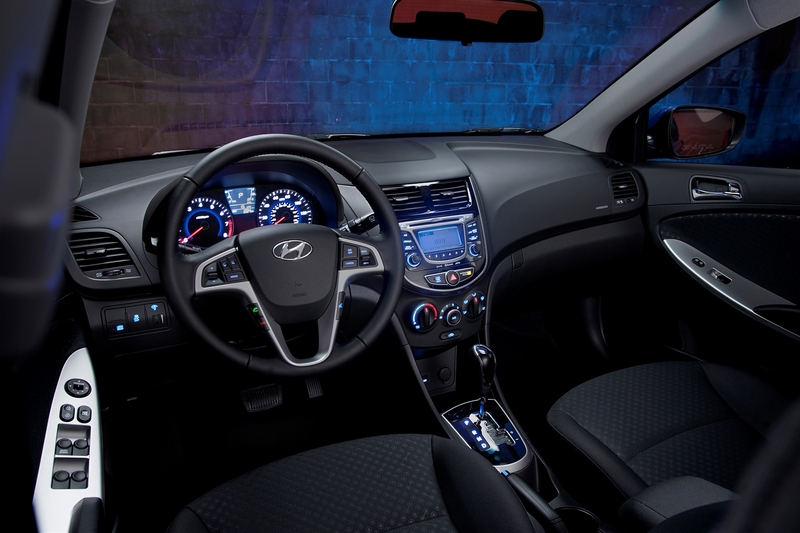 The interior is a comfortable place to be, in a cleverly cheap kind of way. 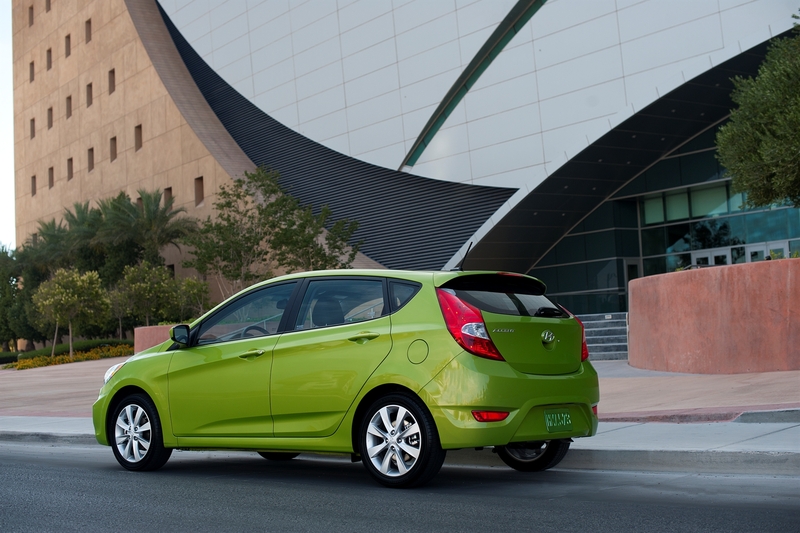 Hyundai's B-segment car is the Accent. This little hatchback competes with cars like the Mazda 2, Ford Fiesta, Toyota Yaris, and Honda Fit. The Accent has ample power and space, and is fairly comfortable to drive (though the transmission isn't exactly a joy to shift). The car returned mileage in the mid-30s and has little in the way of road noise, something its competitors have trouble with. The car's worst feature? Visibility was terrible– not something you'd expect in such small car. Either small cars have gotten much better, or I'm just a sympathetic member of the target demographic. Either way, I liked the little Hyundai. Even better than the Fiesta, in fact. It was comfortable, handled well, had six (count 'em, six!) gears, and had lots of room for friends and stuff. The only thing I didn't like was the rear visibility. It was terrible– I became reacquainted with my religion every time I had to back it into a parking space. apparently those two huge letters (S and E) make a collosal(sp?) difference in how good an Accent is. They somehow make a big difference in performance (didn't the SE GRM tested have the same engine and transmission as this car?) and the SE must get more attention on the factory floor when the cars roll down the assembly as the fit and finish in the test SE were better. Perhaps it's the same thing at Toyota. as they are advertising an SE Sport edition on tv. (Toyota, I thought that "SE" was the abbreviation for Sport Edition? Is your car called the Camry Sport Edition Sport?